Sometimes you need a bespoke round sling which is purpose built for you. Perhaps you require one which can tolerate the highest of loads? If this sounds like you, try the special manufacture higher load round slings from Rope Services Direct. At Rope Services Direct, we are pleased to offer superior quality, British and EU manufactured lifting slings which adhere to the very highest standards in safety and usability. A round sling from RSD is exceptionally tough and can be supplied to fit your requirements. Excellent when used as a heavy duty tow rope or in addition to lifting chains for moving cars, yachts, caravans etc. 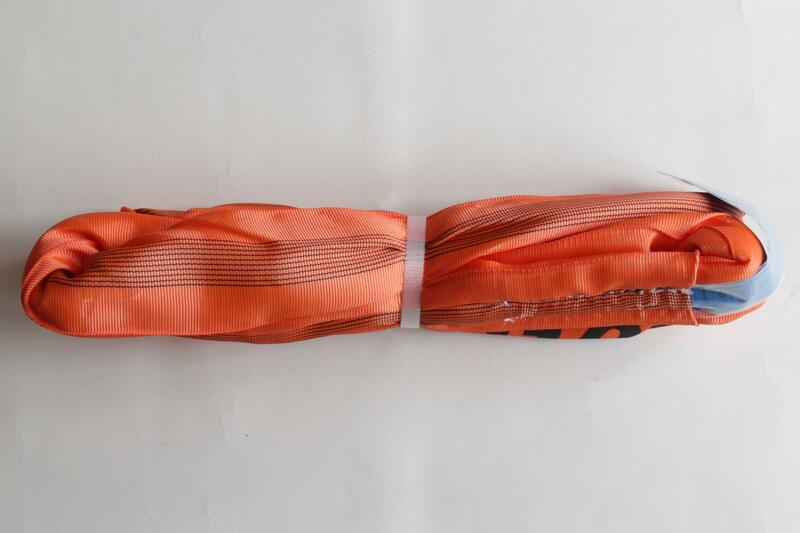 For freight and haulage, they are much softer than flat web slings and so offer more load protection, they are also good when you want to move away from using single use slings. Our special manufacture / higher load round slings are designed with you specifically in mind, no matter what the heavy duty job is. If you would like to consider one of our standard web slings instead (which go up to 10000 kg), feel free to take a look on our website. Ready to order a sling now? We can source a great variety of higher load round slings to suit any purpose from our base near Birmingham. To get the ball rolling and tell us what you need, return a request form and we will get back to you. Special Manufacture Higher Load Round slings Overall rating: 5 out of 5 based on 6 reviews.